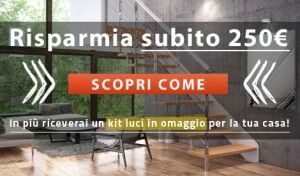 and exclusive lines by Giugiaro Architettura. Vela is the stainless steel railing developed in collaboration with Giugiaro Architettura that is characterized by harmonious and sinuous lines creating a shape bound to impress the viewer. The design of Vela was created to give a room surrounding it extra value, turning climbing up the stairs into an aesthetic experience. Compared to traditional stainless steel railings, the posts in Vela, available in different finishes, are made from a single steel element to which we give the shape that distinguishes the character of this railing. The posts are then connected to each other through 4 rigid linkers of 12 mm-diameter stainless steel with a satin finish. 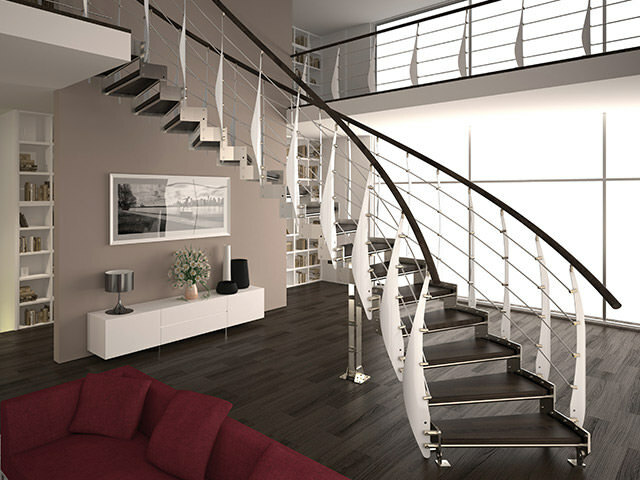 The handrail can be in wood or in stainless steel. The posts are available in a limited range and with exclusive finishes to enhance the composition further. The finishes range from AISI 304 stainless steel to pearly white. Vela is a stainless steel railing that allows different installation types. In fact, it can be set up on masonry staircases in two different ways: on the step or on the side of the floor. It is also possible to install it on modular stairs by anchoring it directly to the steps using special latches. The flexibility of the adopted anchoring systems also allows you to set Vela up as a balustrade, thus expanding the workable solutions and ensuring visual consistency between the railing of the staircase and the parapet closing the mezzanine. Solidity and design are often opposite characteristics and they are difficult to find in stainless steel railings. This is not the case with Vela, which gives a new look to the solidity of steel and offers a product that is ideal for both private and public spaces. This railing is in fact able to enhance the aesthetics of any building with its unique design: the solidity becomes an intrinsic element of the railing but this is exalted in the power of a unique aesthetic experience. Apart from the advantage of the unique design, the creative genius of Giugiaro Architettura gave Vela the great advantage of versatility as it leaves others free and able to create, through the union of its components, different versions that are easily integrated in very different environments.